It’s always been on our wish list to throw an all white party, so when our client Barbara told us she wanted to celebrate being 50 & fabulous with an All White Backyard Birthday Bash, we were all for it! Barbara’s backyard is absolutely gorgeous just as is, so we knew it was going to be exceptional once we added our blissful touch. The furniture already in the backyard was lovely, but Barbara specifically wanted all white EVERYTHING, so that meant all their non-white furniture had to go. Her attention to detail seriously excited us. The biggest thank you to her husband John for moving pretty much everything out of the backyard for us – no questions asked. After all, an all white party can’t have luxurious grey patio furniture, right? Her first request was to decorate the pool, and since balloons are all the craze right now, we knew that this would be perfect for that added chic touch. We contacted the lovely ladies at Luxe Balloon and they provided 18 oversized balloons (it was a mix between 30″ and 36″) that were both helium and air filled (6). Our balloon dreams came true! Balloons in the pool weren’t enough, so we ordered 8 balloon bunches of 12 from Party City that we placed all over the backyard. Funny story, the ribbon used for the balloons were pink, as they ran out of white ribbon. So what do two detail obsessed planners do in this situation? Easy. Buy white ribbon and re-do all the balloons. Ahhh, that’s better. Because it wasn’t a sit-down dinner, we wanted to have some seating available for guests so we opted for lounges, which fit perfectly with the overall tone of the party. We created 3 lounge areas that consisted of end tables, couches and ghost chairs, all white of course. Lindsay from Luxe Modern Rentals was a huge help, as always, with all of our furniture needs (even with some last minute changes). We also had several cocktail tables adorned with white sequin linens from Linen Closet scattered throughout the backyard. This allowed for guests to have a place to put their drink, eat or simply mingle with the other party goers. Barbara wasn’t just having a cake, but instead 3 cakes, candy and other desserts. Sabrina at Honeydoll Bakehouse provided the delicious desserts (cookies/donuts/cupcakes) & naked cake. We wanted to display these in style. Vertical buffets are quite popular this year, which got us thinking. Why not use a custom seating chart structure we designed for a wedding in May? We love using our design pieces for different things. Barbara loved the idea and gave us the creative reigns for her dessert display. With a few changes here and there, we made the once seating chart work as stylish dessert wall that was a yummy focal point for the party. To soften the look of the buffet area, we hung paper lanterns and fabric from the pergola. Bistro lighting was also in the mix and created a soft glow at night. Over 20 floral arrangements by the fabulous Helen from HPF Designs were scattered throughout the backyard and house. Flowers were literally everywhere. Just the way we like it. Barbara told us from the beginning that on her birthday weekend it has never rained, and lucky for us that still remains the truth. (pheww). After months of planning, the day had finally arrived and it was 30 degrees with not a cloud in the sky. It was the perfect day to throw an outdoor party! As guests started to arrive in their all white attire, they were offered a white welcome drink which was a refreshing daiquiri, while enjoying the delicious hors douevres by Party for Two Gourmet Catering. Later in the evening, just before the buffet opened, guests were encouraged to get their picture done by the caricature artist from Right Choice Children’s Entertainment. As the sun set, the tequila shots were poured and the drinks just kept on flowing. DJ Joe kicked it up a notch to get the crowd dancing and they didn’t stop until 3 in the morning! It’s the first day of summer! Doesn’t it make you want to grab a beer on a patio, or event better throw an epic outdoor party with friends and family. Whether it’s an all white party like this one, or a low key BBQ with friends – just make sure you have a fun theme and backup plan in case the weather doesn’t cooperate. 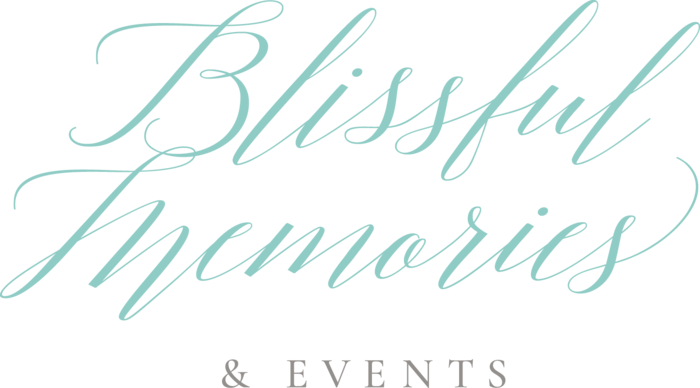 Let us make your next event Blissful!